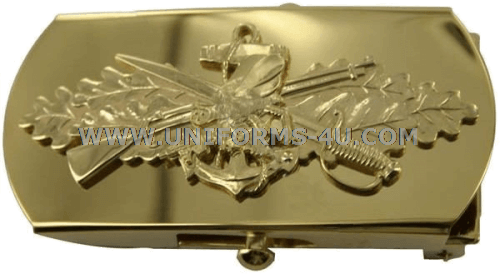 Available in versions for Officers, CPOs, and junior enlisted Sailors, our Seabee Combat Warfare belt buckle features one of the most unique insignia designs in the Navy: a bee wearing a Dixie Cup hat and toting a 1919 Thompson submachine gun, a wrench, and a hammer superimposed over a 1903 Springfield rifle and a sword placed atop a fouled anchor resting on a laurel leaves. 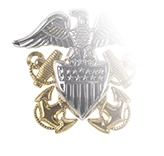 When the Seabee Combat Warfare program and insignia were introduced in the early 1990s, the warfare qualification was voluntary for enlisted personnel, but in 2009 it became mandatory for all Sailors and Officers E-5 and above serving in a qualifying Seabee unit. 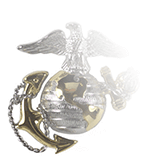 These Naval Construction Regiments, Naval Construction Battalions, Amphibious Construction Battalions, and Underwater Construction Teams. 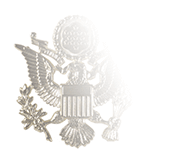 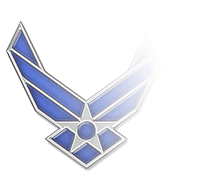 Belt buckles featuring qualification insignia are authorized for optional wear in Article 3603.6 of the United States Navy Uniform regulations, which states that buckles “with appropriate naval insignia, designs, or devices to which the wearer is entitled” are permitted. 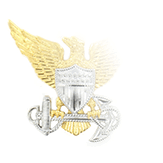 You can learn more about the process of Seabee Combat Warfare qualification by checking out our page dedicated to the Seabee Combat Warfare Badge.